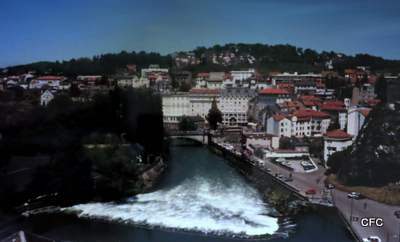 Lourdes, France is a spiritual healing place where miracles take place everyday. A place that will remain etched in the mind forever. If you speak to someone who has visited Lourdes, it is more than likely that they will say the same thing, "There are no words to describe what occurs there. The place is very mystical." 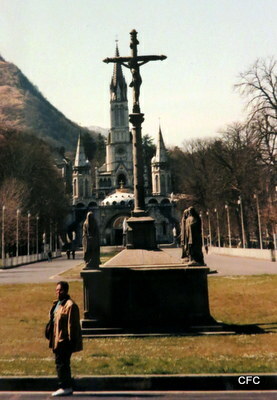 I have visited Lourdes twice, and each time I have experienced the same spiritual ecstasy. I have felt, as though, various layers of skin had been peeled off me leaving me lighter, and rejuvenated. It is a place where one can find inner peace as well as healing. Lourdes has never stopped amazing me. Lourdes is a small village in the southwest of France. It became world known when Bernadette Soubirous, a poor and sickly girl, reported seeing the Virgin Mary. Bernadette was born in Lourdes, France on January 7, 1844. She came from a poor family, who experienced many hardships. She was the oldest of four children. From early childhood, she was plagued by various diseases. In 1848, her father lost an eye causing the family to face financial woes. They moved from place to place. In 1856, with three additional mouths to feed, the family was literally homeless. A cousin of Bernadette's father took pity and offered them a place to stay. 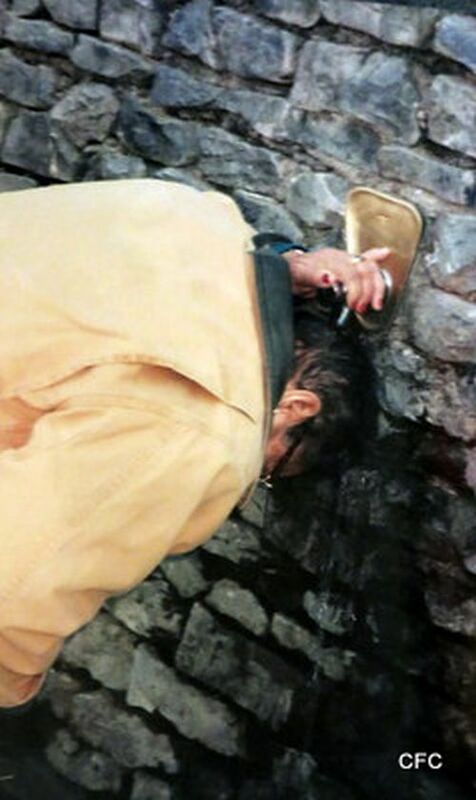 It was, "an infected, gloomy hole measuring 4 by 4 1/2 yards." Growing up, Bernadette was never known to complain or be, "critical of anyone's behavior toward her." She was always pleasant and good-natured. Although she lacked the educational skills of reading and writing, she memorized the Our Father, Hail Mary and Apostles' Creed by heart. Her greatest desire was to make her First Communion. Bernadette was approximately fourteen years old when she reported first seeing the Virgin Mary on February 11, 1858. It was on a spot called Massabielle, which consisted of, "a huge rock overlaying an elongated grotto." On that day, Bernadette, her sister and a friend had volunteered to gather some wood near the Gave. Upon arriving there, the girls noticed a pile of driftwood on the other side of the stream. While her sister and friend crossed the stream, Bernadette, aware of her poor constitution, hesitated while trying to find other alternatives to reach the other side. Realizing that there was no other way, she decided to remove her stockings and cross the stream with its ice-cold water. While undoing her stockings, Bernadette heard and felt a strong breeze. When she turned around to investigate, she noticed that everything was still. Once again, she heard the same noise. This time when she turned around, she saw a woman standing in the grotto dressed, "in white with a white veil over her head, a sky blue girdle and a rose on each foot...in her hands was a rosary of white beads." Bernadette recalled that she was stunned, frightened and motionless. However, when the lady, "raised the rosary and crossed herself," she did the same. When the lady gestured her to move closer, she could not move. Immediately after that, the lady disappeared. Each time the lady appeared, a total of eighteen visits, Bernadette would go through a physical transformation, "when she was in ecstasy- she became extremely pale, 'wax like'...smiled with such tenderness that it was a joy to behold her." On the third apparition, the lady spoke for the first time. She told Bernadette, "I won't promise to make you happy in this world, but in the next one." On the ninth apparition, the lady asked Bernadette to go down on her knees, kiss the ground, eat the grass, and drink and wash herself at the spring. Although she found these tasks to be difficult- "the ground was dirty, the grass was bitter and the water repugnant," she carried them out lovingly. When she noticed that there was no spring, she started moving towards the Gave. The lady told her that it was, "below the precipice." It was there that water began to spout from the spring. On the thirteenth apparition, the lady instructed Bernadette to go and tell the priests, "to come here in procession and erect a chapel on this spot." On the sixteenth apparition, the lady revealed her identity. She said that she was, "The Immaculate Conception." In other words, the Virgin Mary. In an attempt to have Bernadette retract her story, government officials, ridiculed, reprimanded, threatened and even tried to commit her to a mental institution. Each time, they were unsuccessful in doing so. Bernadette always refused all offers made to her or her family. She would say, "I want to remain poor." On June 3, Bernadette accomplished her dream- she made her First Communion. On July 15, Bernadette entered a hospice managed by nuns. As her health continued to deteriorate, her religious vocation got stronger. When she became a nun, her name was changed to Marie Bernard. In 1878, Bernadetta was diagnosed with bone cancer. A year later, she left her body. In this spiritual healing place, Grotto, the healing water that spouted from the living rock, is being piped into fountains around the Grotto and made accessible to all. The water has been the source of many miracles. The first Church reported miracle occurred during the time of the apparitions. A young farm girl had lost the use of her fingers during a fall. 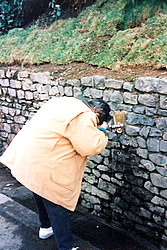 While visiting the Grotto, spiritual healing place, she immersed her hand into the spring. "Immediately, a lovely warmth spread through her body, and she was able to move her fingers again." Through the years, hundreds of miracles have been reported. In addition to the fountains, pools were built. Thousands of people flock to this spiritual place, Grotto, to take advantage of these miraculous waters that are channeled into the pools. I have utilized the pools on several occasions. As you enter the area where the pools are situated, you are given a large towel, told to remove your clothes, wrap the towel around your body and enter one of the numerous rooms. Each room contains a marble pool with a statue of the Virgin Mary in front. Inside the room, there are two or three volunteers waiting. One prays, while the others help you submerge into the waters. During the process, you are instructed to focus on the statue of the Virgin Mary and pray. Even though the water is cold, you find yourself dismissing earthly matters and absorbing the spiritual energy in the room. When the process is over, you feel as a new person ready to face the world on all levels. If you are searching for a spiritual healing place to visit, this is definitely a place to go. Here, you will find peace, comfort and much more. 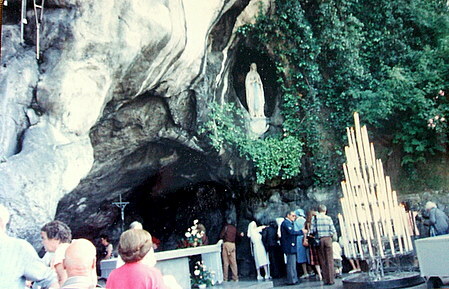 Without a doubt, Lourdes is indeed a spiritual healing place.